Fatigue management is of the utmost importance to all ATAC members. This is why ATAC has been fully involved in the regulatory change process over the past seven years. We are keen to see this issue thoroughly evaluated and that the resulting proposals be truly effective and yet at the same time sustainable and pragmatic. The resulting actions by the department have led to a very flawed regulatory proposal. Fatigue management is of the utmost importance to all ATAC members. ATAC is proud of its relationship with Transport Canada Civil Aviation in developing and fostering rational safety focused regulatory improvements. However, this proposal of regulatory change is disturbing and causing ATAC and its members to question the consultation process. ATAC recognizes that a number of consultations with industry on this subject have taken place. 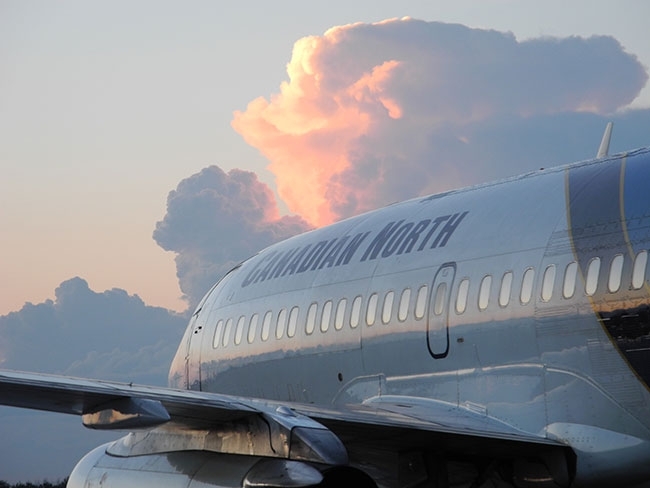 This included the working group that was formed in 2010 as well as meetings subsequent to the initial regulatory proposal that was issued as a Canadian Aviation Regulation Advisory Council (CARAC) Notice of Proposed Amendment (NPA) on Sept. 15, 2014. In fact, ATAC has encouraged these opportunities for both the regulator and the industry to meet to better understand one another with regards to clearly identifying the issues and goals that require regulatory changes to improve aviation safety. During the CARAC consultation process, ATAC and other industry associations identified our concerns to senior management at Transport Canada to the effect that we were not being listened to, nor understood, and that inappropriate influence and interference in the consultation process appeared to be allowed or condoned by Transport Canada Civil Aviation (TCCA) officials. The resulting actions by the department has led to a very flawed regulatory proposal which appears to be based on undue influence by various groups and unfortunately perhaps also by certain Transport Canada staff. In all of the years since the CARAC consultation process has been in place, ATAC has never witnessed such a breach of trust or such a breakdown of communications between the regulator and the regulated. The Regulatory Impact Analysis Statement accompanying the Canada Gazette 1 notice of this regulatory proposal is grossly over-simplified, contains many factual errors and/or misguided assumptions, and overall does not reflect the facts or reality of our industry. Transport Canada had assured the industry that we would be provided with a viable performance-based alternative to the prescriptive requirements of the new fatigue management proposal. However, even this potential solution now clearly appears to have been restricted to such a degree that it is no longer a viable alternative for almost all operators, large and small alike. The regulations, in their current form, will cause significant hardship to all segments of the commercial aviation community, we believe, without any substantial improvement to safety. The most adversely affected parties include: emergency services; scheduled service in the north; services in remote areas and to aboriginal communities. The proposed regulations will also exacerbate the current shortage of experienced commercial pilots. Our operators have identified that the demand for pilots would increase by at least 10 per cent among the largest operators and by up to 50 per cent for smaller operators. The Transportation Safety Board has never identified fatigue as a significant contributing factor in any of its aviation accident and incident investigations. It is not change that our industry opposes – just these changes. The safety data produced by the Transportation Safety Board of Canada (TSB) does not support the need for radical changes to our Canadian fatigue management regulations. The changes will make the regulations significantly more complicated, and the large carriers could not possibly implement them in one year. ATAC respectfully asks that the minister not steamroll this regulatory change in its current devastating form but rather take the time to develop, collaboratively with industry and other stakeholders, a solution which would be viable and pragmatic for the Canadian air transport industry, the communities it serves and the travelling public.